Cyclic Dieting is when you cycle between either periods of low calories and high calories, or cycle between periods of low and high carbs, or use a method that incorporates both. Cyclic diets can have periods that last for short periods or longer periods depending on your goals and how much fat you’re looking to make disappear! What Happens When You Just Diet? Cyclic dieting works better than regular diets because it never allows the body to become adapted to a calorie deficit or one type of diet for that matter. Research has shown that the longer you stay on a low calorie diet – the harder it is to keep seeing results. Remaining on a low calorie deficit can down-regulate your hunger hormones, more specifically leptin, but also your metabolism, and as result you can hit a plateau. Additionally, this drop can cause your body to preserve your fat for fear of starvation, instead of burning through it, instead switching to your hard earned muscle as a source of energy! But that’s not the worst of it, when one hormone is out of whack in your body; this can result in a cascade effect causing all other hormones to also drop, including your important muscle building hormones – testosterone, IGF-1 and growth hormone. In one study, performed on a natural bodybuilder getting ready for competition, following a pro-longed low calorie diet for an extended period, it was shown to increase their overall leptin levels by 40% but also significantly drop their testosterone levels by a whopping 75%! By switching between calories, and macronutrient levels, you can help prevent important hormonal disruptions, help keep your metabolism up-regulated and prevent plateaus from occurring. Help prevent testosterone decline during cutting phases, and helps maintain muscle building hormones needed for growth and repair such as IGF-1 and GH. Keeps catabolic hormones such as cortisol from rising and limiting muscle breakdown. Keeps metabolism and thyroid active and responding. Gives you more energy for workouts – which means more strength and power during training. If you’re interested in trying a cyclic diet approach, the first thing you need to do, is figure out the amount of calories you need to eat for each phase of a cycle. Use a 3-phase approach – low, moderate and high days. 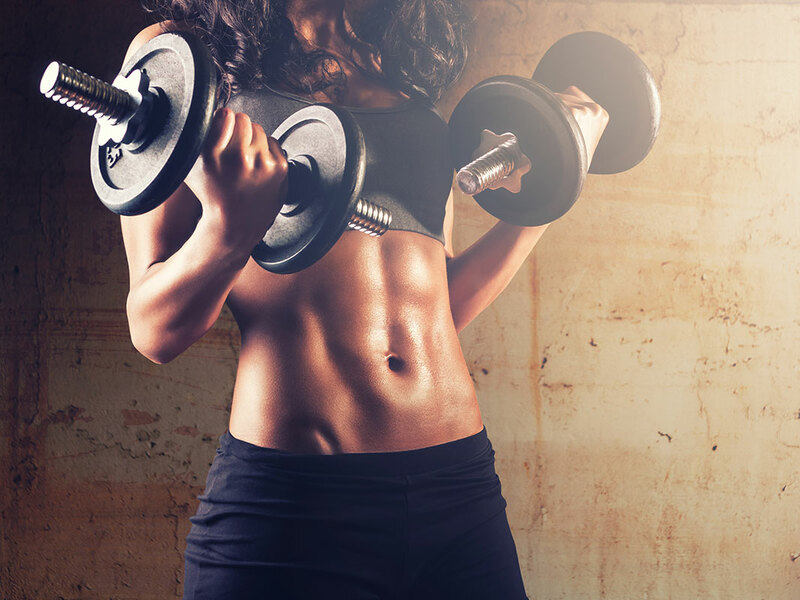 The number of Low, Moderate and High Days will be determined by your goals and the amount of fat you want to shred. If you have a lot of fat to burn off allow for 3 to 4 Low Days, 2 to 3 Moderate Days and only 1 High Day. Additionally, you can also co-ordinate your diet days with your workouts. Have High Days when you train intense workouts like legs and Low Days when you train smaller muscle groups like shoulders and arms. What Should You Eat on a Cyclic Diet? A cyclic diet can include not only adjustments in calories but also in macronutrients. Low days should provide not only lower calories, but also lower carbs. Keep carbs to not more than 20% of your diet, while moderate days can include up to 30%, and high days can deliver over 40% of your calories from carbs. The reason for this is that carbs can have a big impact not only on hormone levels but also on how your body accesses energy. Carbs are a main source of energy for the body, dropping your carb levels force your body to access other sources of energy for your body including body fat. Choose a diet that is pre-dominantly made up of fresh and natural foods including high fiber carbs such as brown rice, oatmeal, sweet potato, and green leafy vegetables; lean proteins such as chicken, whole eggs, red meat and low fat dairy, as well as healthy fats such as olive oil, avocadoes, nuts, coconut oil and seeds. Lauren Jacobsen is the Director of Nutrition for Kcal Brands and the Head of Fuel Up. Lauren has over 15 years of experience in nutrition and supplementation focused on physique athlete development. Lauren is also a former IFBB competitive figure athlete, and long time contributor to fitness magazines worldwide. Does Intermittent Fasting Work Better for Weight Loss? Build your own meals to your specific macros. Enjoy fresh and tasty dishes delivered to your door. Order the clean food your body will thank you for. Coupon code sent to your email. Register and login with this email and make an order to use the coupon code received.